It is a triumph that this film was made at all. When filming for Water started in India seven years ago, Hindu chauvinist mobs destroyed the set and threw it into the Ganges. Due to the sheer determination of director Deepa Mehta, the film was eventually completed. It was worth her perseverance because she has made an absorbing, visually stunning and emotionally gripping film. 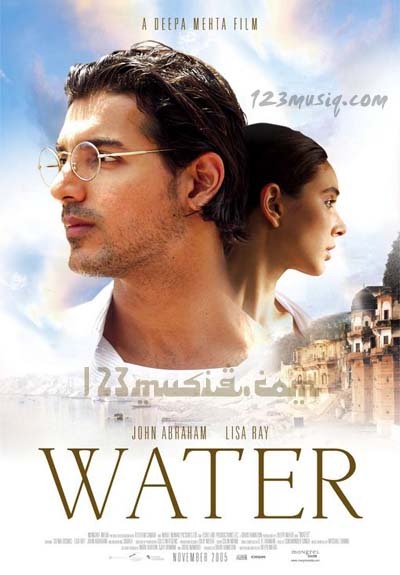 Water is the third film in Deepa Mehta's "elements" trilogy of Indian films. 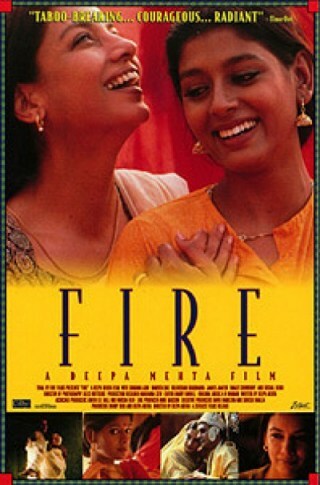 The first, Fire, led to Mehta's first run in with the Hindu chauvinists because it featured a lesbian relationship. When Indian cinemas refused to show it, it went on to become one of the biggest selling pirate DVDs in India. 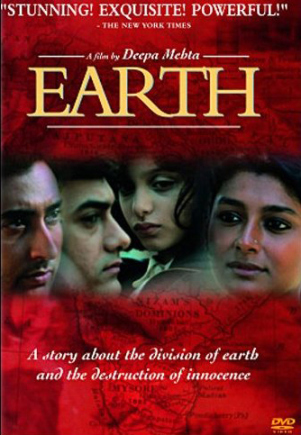 The second, Earth, is a brilliant and heartbreaking film about partition. Water focuses on the mistreatment of widows in India. Like the previous two films, it is at times painful to watch, but it is full of compassion, tragedy and the struggle of the oppressed for dignity. The film is set in 1938 in a holy city on the Ganges in India. An eight year old girl, Chuyia, is brought to the city by her family, after the older man they have married her to dies. Chuyia is handed over to a widow's ashram - a home for Hindu widows, expected to live out their days in humble seclusion. The women are forced to beg outside temples or turn to prostitution. Chuyia is befriended by a young widow, Kalayani, who is being pimped by the self-made, self-indulgent and repulsively amoral widow who dominates the ashram. The ashram is thrown into turmoil when Kalayani falls in love with a young student, influenced by radical ideas, who wants to marry her despite the stigma attached to her status as a widow. When the crew attempted to restart filming, they had to be escorted by riot squads with water cannons and hundreds of police. The protests continued, accompanied by death threats, bomb scares and burning effigies. Filming was finally abandoned when the local authorities banned filming and threatened to arrest the crew if they continued. It was another four years until Mehta restarted filming, this time in Sri Lanka and with a false name for the film. Mehta later said, "In retrospect, Water reflected what was taking place in India in some form or other; the rise of Hindu fundamentalism and high intolerance for anything or anybody that view it with scepticism; therefore we were a soft and highly visible target." Water is indeed damning of the attitudes and practices of some Hindus towards widows, but also hints at more complex debates about the nature of tradition, religious practices and economic compulsion. The film is very character led, but it is also very beautifully shot. For a director accused of representing India in a bad light, Mehta's films always make me think that India is the most beautiful place on the planet. Although the film follows very personal stories and tragedies, these are inseparable from the backdrop to the film - the rising movement for independence from the British. The film shows how, even indirectly, a mass movement for change can start to challenge long held ideas and expectations. There are some powerful performances, most notably that of Seema Biswas (of Bandit Queen fame) who brilliantly portrays the transformation of one of the widows, Shakuntala, as she is drawn out of her pious solitude by personal and political events. Mehta first attempted to film Water in 2000 in the holy city of Varanasi. Several thousand protesters attacked the set, arguing that the film showed India and Hinduism in a poor light. The Hindu chauvinist thugs of the RSS (Raksha Sangharsh Samiti) told The Week magazine, "Breaking up the sets was far too mild an act; the people involved should have been beaten black and blue." Herein lies the ideological struggle of two individuals. 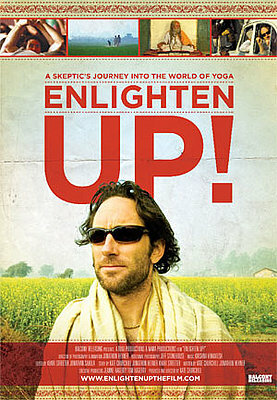 Behind the camera stands Kate Churchill, a Boston-based documentarian with a rock-solid confidence in the transformative power of yoga; her subject, however -- Manhattan journalist Nick Rosen -- espouses deep-seated skepticism and resistance to yoga as a system of thought and physio-spiritual regeneration. Responding to a challenge by Churchill, Rosen undertakes an on-camera investigation of yoga, but in lieu of becoming an instant convert as one might expect, he begins to uncover manifold inconsistencies and contradictions that distance him from the center of it. The filmmaker and her subject thus experience a rocky and multi-layered conflict of beliefs, identities, and lifestyles. 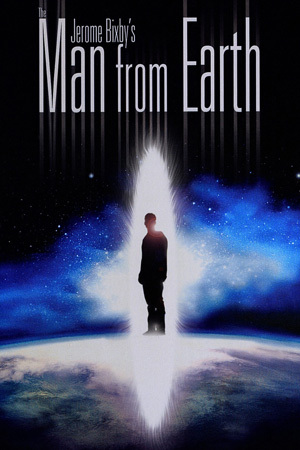 The Man from Earth was a clever and intriguing movie. I really enjoyed the plot, because of the originality (to me at least) of it. 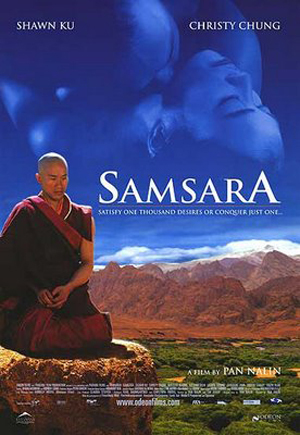 First, positive points about the film: the scientific theorizing near the start as to how a man could live this long and what his or her body would be like worked well, but I thought it could have been drawn out a little more (the whole movie could have used a little more content in my opinion with such an interesting plot). 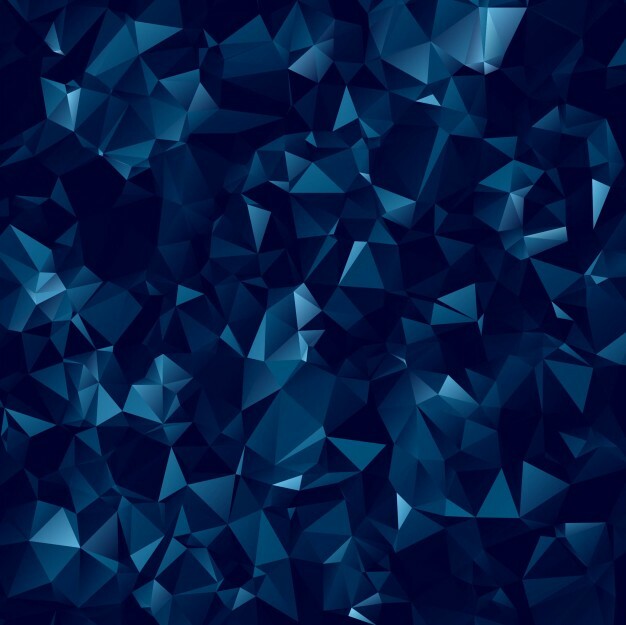 It also raises some philosophical questions as to how a human mind that is, seemingly, so much like ours could not be worn out with life at this point and not just give up, staying at home all day watching TV until it croaked. 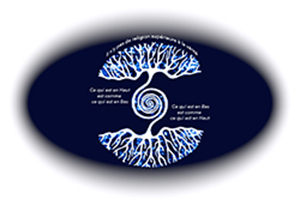 A whole different philosophical point brought up is the conception of truth and proof. He continually claims he has no way of proving this to anyone, but what would count as proof anyway. If he did have scars or mementos, would those things really convince any of the people there. He could easily have falsified evidence for it with his knowledge, even more so if he had the knowledge of 14,000 years (but then his story at least would be true). The main thing that bothered me in this movie was brought up in class, and that was the denouncement of the story of Jesus. I agreed with whoever said it seems a little too easy to attack. Of course, the man who wrote this story, I sure, grew up around Christianity and he doubted it so it makes sense. I m not sure I believed (or would have believed, given I was told this) his story even after the revelation at the end. 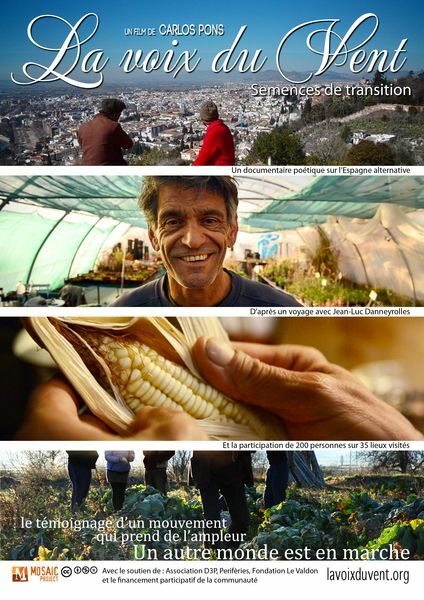 Jean-Luc Danneyrolles, farmer Provence and Carlos Pons, Spanish director, organized a trip to Grenada City to meet the emerging spanish social movement, alternating between agroecology and paradigm shift. 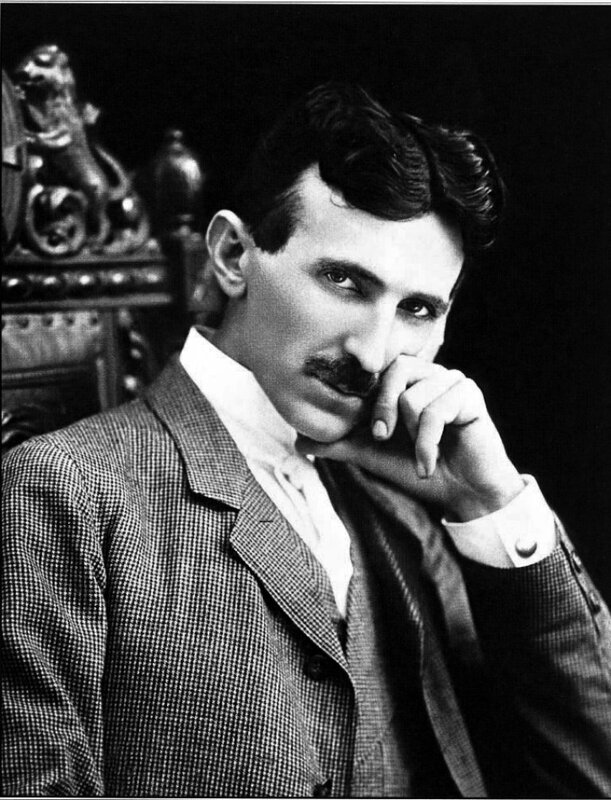 They depart during February 2012 Siberian wave, with farmers' seeds as only medium of exchange and wealth. The testimony of a movement that is gaining momentum. Another world is on the here and now. Thora Birch stars as Liz Murray, one of two daughters of an extremely dysfunctional Bronx family. As a young girl, Murray lives with her sister, their drug-addicted, schizophrenic mother and their father, who is intelligent, but has AIDS, lacks social skills, and is not conscientious. She is made homeless when the family is evicted due to not paying the rent. After her mother Jean Murray (1954-1996) dies of AIDS, which she got from sharing needles during her drug abuse, she got a 'slap in the face' by her mother's death and begins her work to finish high school, which she amazingly completed in two years, rather than the usual four. She becomes a star student and earns a scholarship to Harvard University through an essay contest sponsored by The New York Times.